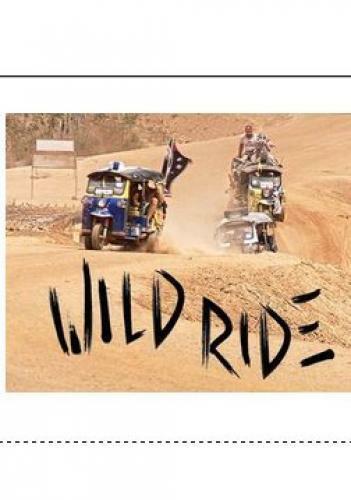 When will be Wild Ride next episode air date? Is Wild Ride renewed or cancelled? Where to countdown Wild Ride air dates? Is Wild Ride worth watching? 15 adventure-seeking backpackers take on an extraordinary road-trip challenge. With just three weeks to reach their destination,they'll attempt a 3,000km trek across three Southeast Asian countries, and arrive at Thailand's legendary Full Moon Party.Their mode of transportation? The infamous Tuk Tuk: a three wheeled vehicle which travels at a maximum speed of 60km/h. We'llfollow their WILD RIDE as they discover the region through a completely new perspective. Now that the Tuk Tuk is repaired, the teams are full of renewed energy and optimism. Wild Ride next episode air date provides TVMaze for you. EpisoDate.com is your TV show guide to Countdown Wild Ride Episode Air Dates and to stay in touch with Wild Ride next episode Air Date and your others favorite TV Shows. Add the shows you like to a "Watchlist" and let the site take it from there.